Saint Ninian's Isle Treasure – A horde of Celtic silver jewelry, Church silver, and other items found in St. Ninian's Isle, Shetland, Scotland in 1958, in the ruins of an old chapel, presumably having been hidden from Viking raiders. This replica pendant is based on an ancient Celtic design worn by a lady or lord from Scotland's ancient past - a beautiful gift. The perfect "something old" for a new bride on her wedding day! 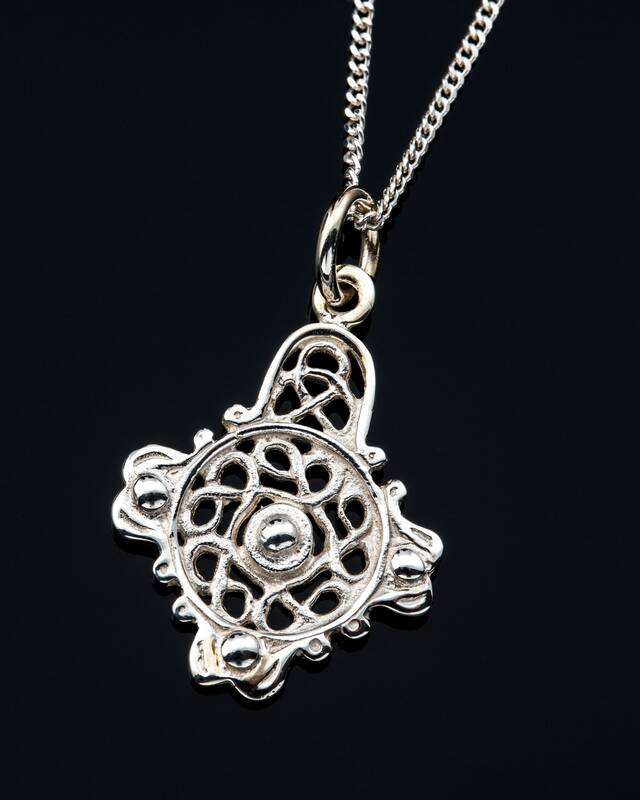 Celtic filigree style Pendant - 18mm on 42 cms chain. The pendant is highly polished sterling silver.